The historic city centre of Bruges is a very beautiful place. 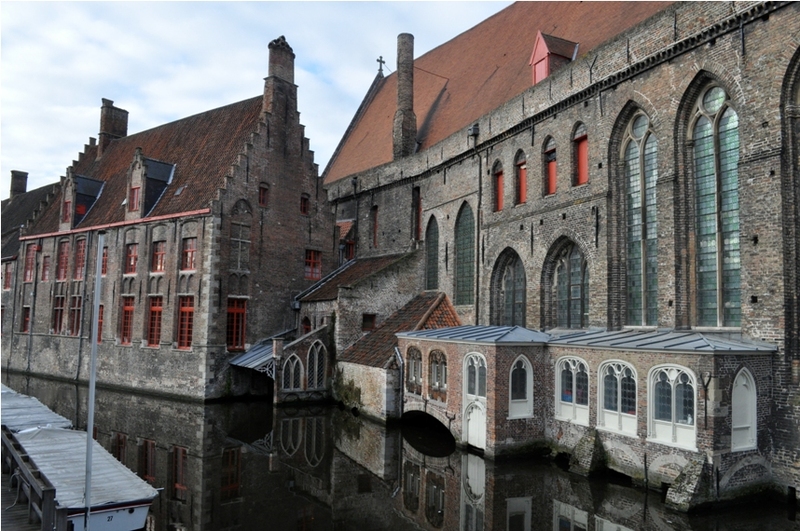 A UNESCO World Heritage Site since 2000, it’s a major draw for architecture buffs and art lovers, who marvel at the city’s medieval buildings, squares and canal system, and swoon at its impressive collection of Flemish primitive artwork. Since the release of the Colin Farrell film In Bruges in 2008, of course, it’s also been a destination for movie fans eager to explore the atmospheric streets that are the film’s real stars. 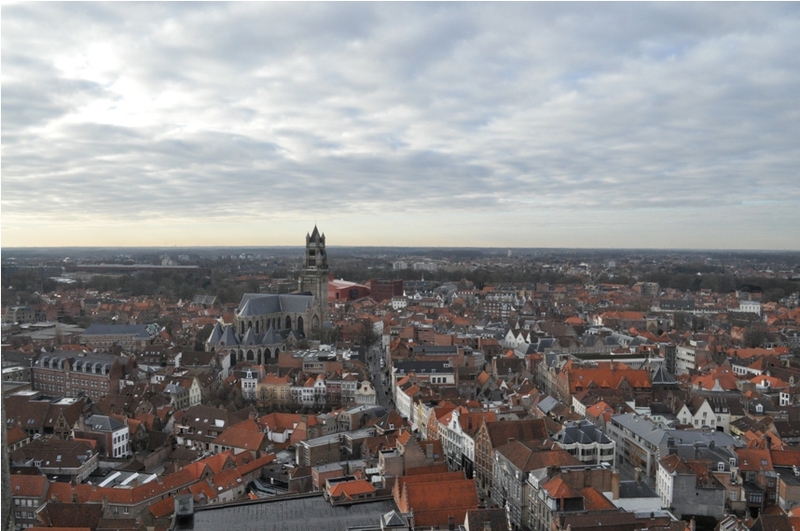 My recent flying visit to Bruges, however, was motivated by far less lofty desires: to sample the city’s historic hop-based tipple and gorge myself on Belgian culinary delights. With only one day to play with, my focus was food and drink and lots of it, and if a little bit of history could be squeezed in, more to the good. De Halve Maan Brewery (Walplein, 26. Tel +32 50 44 42 22) seemed like the obvious place to begin. 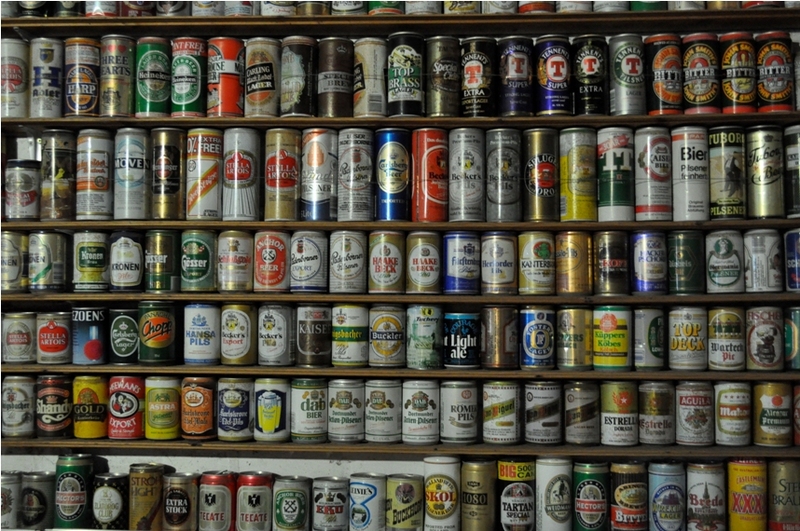 There used to be hundreds of breweries in the city, but over the years they’ve all closed down or moved out as out-of-town premises became more convenient for producing large quantities of beer for the growing domestic and international markets. De Halve Maan however, which can trace its history in Bruges back to 1564, still brews four beers at its city centre headquarters, as well as welcoming visitors for guided tours all year round. 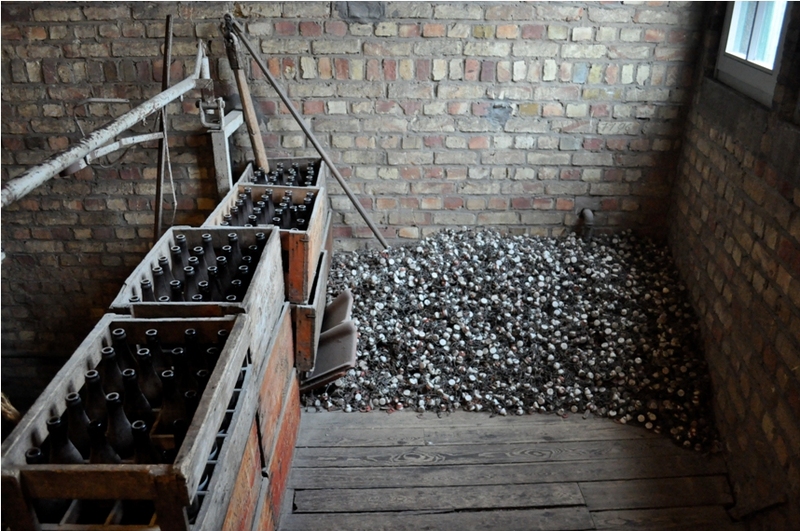 Lasting 45 minutes, the tour provides only the most fleeting of introductions to the art of brewing, but offers much in the way of the fascinating history of beer production and drinking in Bruges and Belgium over the centuries. Our guide’s passion for her topic and comic disdain for other beer cultures kept the group chuckling as we raced around the 19th-century brewing facilities: through dusty attics, onto rooftops, across copper cooling tuns and down the ramps where beer barrels were formerly rolled. De Halve Maan’s four beers, the blonde Brugse Zot and its hoppier sister, Brugse Zot Dubbel, as well as the strong bitter Straffe Henrick and the more intense Straffe Henrick Quadrupel, are available all over the city, but it’s definitely worth sticking around after the brewery tour has ended to sample Brugse Zot in its unfiltered form, available nowhere else. Next stop after our introduction to beer in Bruges was the no-nonsense Restaurant Carillon (Sint-Amandsstraat, 24. Tel + 32 50 33 50 68) for moules-frites. Just off the main square, in the most touristy area of the city, Carillon’s offering is decent and reasonably priced, even if the atmosphere leaves something to be desired. Many of the city’s eateries are shut between lunch and dinner, but Carillon serves straight through, making it a port in a storm for a weary tourist. 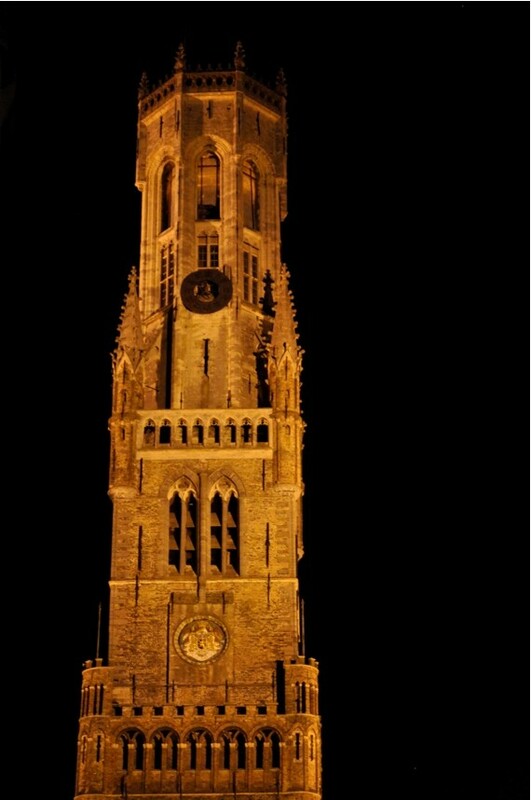 Our bellies filled, my companion and I had the strength to tackle the 366 steps to the top of the Belfort (Markt, 7), the city’s medieval bell tower and most prominent landmark. Built, destroyed by fire and built again in the 13th and 14th centuries, the 83-metre tower was formerly home to the city’s treasury and municipal archives, although these are now held elsewhere. 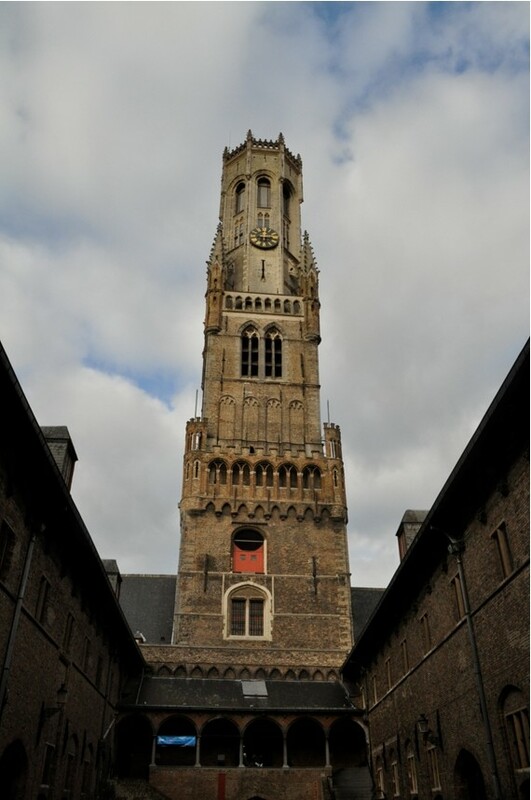 It’s worth timing your climb so that the Belfort’s spectacular 360° views are accompanied by the tolling of the tower’s 47 bells, a soundscape that is quintessentially Bruges. Back at street level and on a mission to find some interesting local watering holes in which to continue my alcoholic education, I found myself struck again and again by the city’s charms. Minnewater (Lake of Love) in the south of the city centre is a serene and peaceful place to stroll by day or night, the dozens of swans that call it home completing the picture. ‘T Oud Kanthuys (Wijngaardstraat, 30. Tel +32 50 68 30 51), a restaurant and bar on its bank, is a civilised location to sit with a draft Brugse Zot and watch the world go by. Walking north and east from Minnewater along the streets that flank the canal, you comes to the Vismarkt, the city’s old covered fish market. Operating in the mornings from Tuesday to Saturday, the Vismarkt is now also home to crafts stalls in addition to the traditional fish counters. Follow the canal network further north still, past the picturesque St Anna residential quarter, and you reach In De Reisduif (Lange Rei, 30. Tel: +32 0479 953 773), a tiny, smoky pub whose walls and ceiling are hung with eccentric objects. We fought our way to the bar past the carousing locals to sample a couple of In De Reisduif’s bottled beers, the dark and sour Rodenbach, and the fruity and flowery St Bernardus Tripel. Appetites suitably whetted by this point, we set off again, only slightly unsteady on our feet, towards the centre of town once more to dinner at Breydel De Coninc (Breidelstraat 24. Tel: +32 050 33 97 46), a speciality seafood restaurant a stone’s thrown from the splendid Burg Square. While the a la carte dishes are pricey, the various three-course fixed menus on offer are all fantastic value: scallops to start, followed by whole lobster with chips, then chocolate mousse (or in my companion’s case, vanilla ice cream with chocolate sauce) came in at €35 and was all utterly delicious. Helpful and attentive staff and sophisticated décor make this an excellent choice. After admiring the grandeur of the Belfort by night, we couldn’t resist one final tipple at Vino Vino (Grauwwerkersstraat, 15. Tel: +32 0486 39 80 66), a small, dark tapas bar just round the corner from our hotel with a reasonable wine list and a wide range of bottled beers. Hoegaarden wheat beer for my friend and Palm lager for me rounded our day off nicely, as blues played in the background. I may not have become an expert on medieval architecture, or learned how to tell the difference between the paintings of Jan van Eyck and his brother Hubert, but I did discover during my brief sojourn in Bruges that, whether you’re interested in history or hops, this charming city has a huge amount to offer. 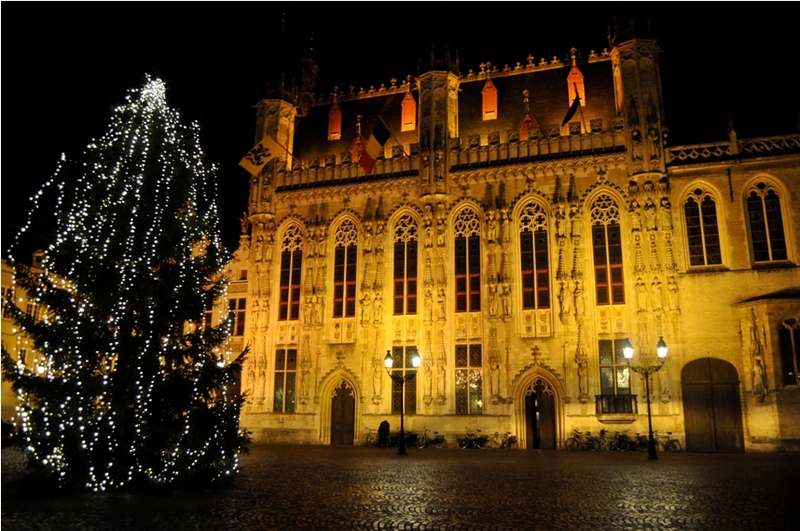 Return fares from London St Pancras International to Bruges, via Brussels Midi, start at £80. The journey takes around 3 hours 30 minutes, plus transfer time at Brussels. Visit Rail Europe or call 0844 848 4070 for further information. Hotel Aragon (Naaldenstraat 22. Tel: +32 (0)50 33 35 33) is a very comfortable four star hotel a three-minute walk from Market Square and Burg Square. Doubles with breakfast start at £86 per night.